Last year, I compiled a bucket list of my favorite restaurant foods — and Ruth’s Chris Steak House’s creamed spinach rose quickly to make the grade. 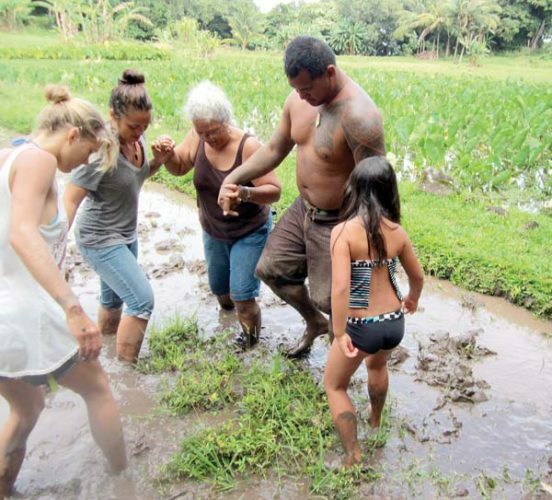 My bucket-list story ran just before Randy Schoch, the longtime owner of the RCSH Hawaii franchise on Oahu, Maui and Hawaii Island, sold his interests back to corporate for a beefy $35 million. After I saw the price tag, I knew I wasn’t the only one who craved the baby spinach in bechamel sauce. And countless others sink their teeth into the USDA prime beef broiled in the trademark 1,800-degree ovens to lock in the aged steak’s natural juices, flavors and tenderness. They crunch steak-house salads packed with garlic croutons and red onions, sip and swirl big glasses of bold red wines, and take it over the top with bread pudding in whiskey sauce and creme Anglaise. 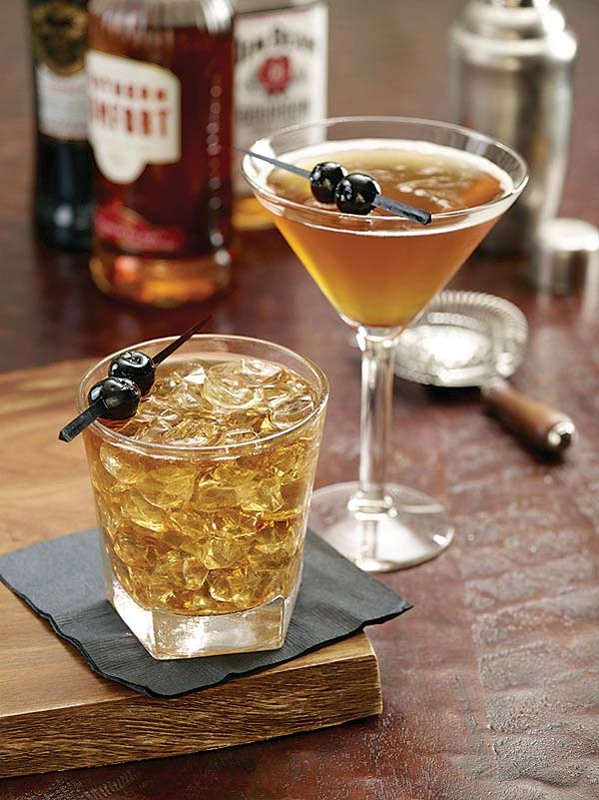 Manhattans with Luxardo cherries are craft cocktails to the max. 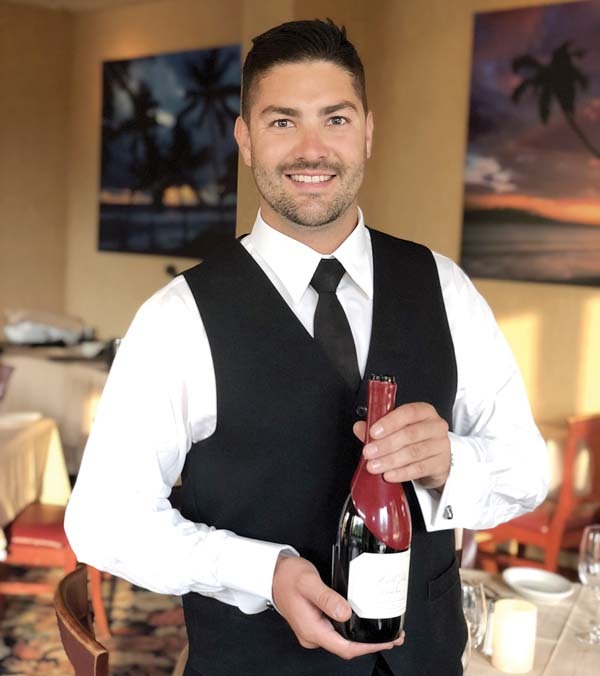 At Ruth’s Chris upstairs in The Shops at Wailea, General Manager Randy Spencer is pleased with the transition. 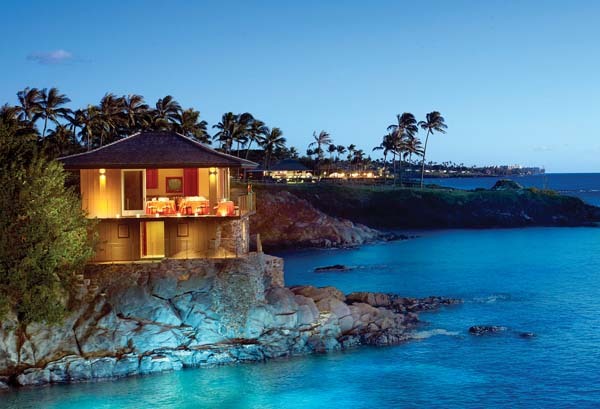 One such change at Wailea will be a bar and lounge much bigger than six barstools and a couple of two-tops. 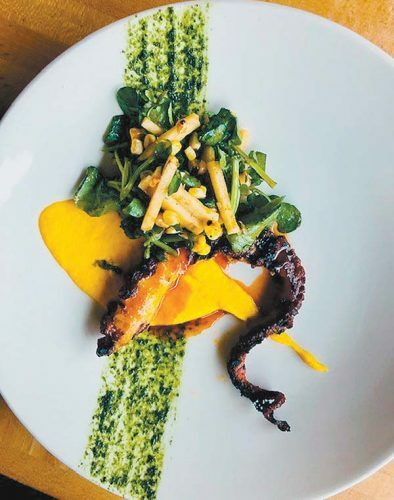 Keeping the food consistent at Wailea is longtime Executive Chef Dan Bader, while at Lahaina Seville Jackson keeps the kitchen quality in check. 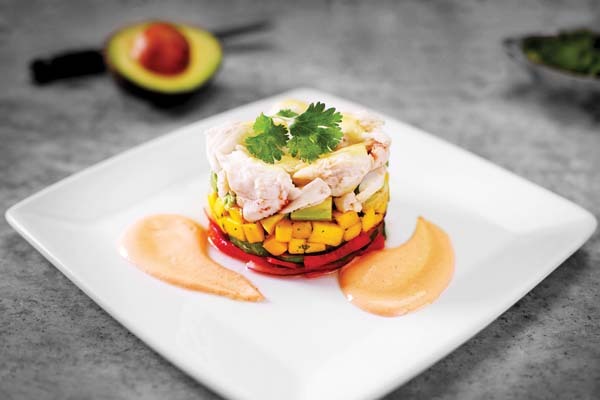 Ruth’s crab stack features blue lump crab morsels set atop avocado and mango. 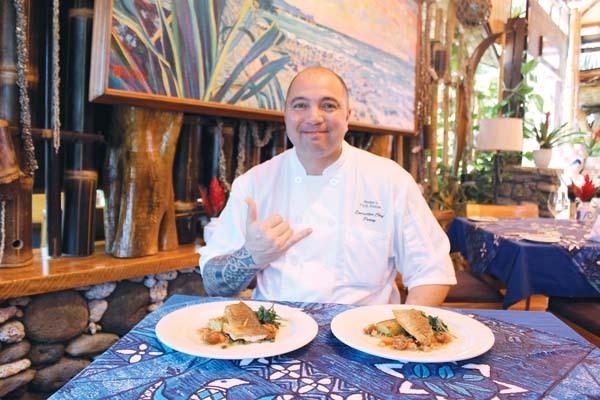 “I’ve got nine cooks and four dishwashers — and my guys know how to cook steaks right,” says Bader, a “Maui boy” who went to St. Anthony’s and lived on the Mainland before returning home. Steak toppings include sauce Bernaise, blue-cheese crust and Oscar with asparagus and Bernaise. Calories are listed so you may choose to stay within your comfort zone or go for the gusto. 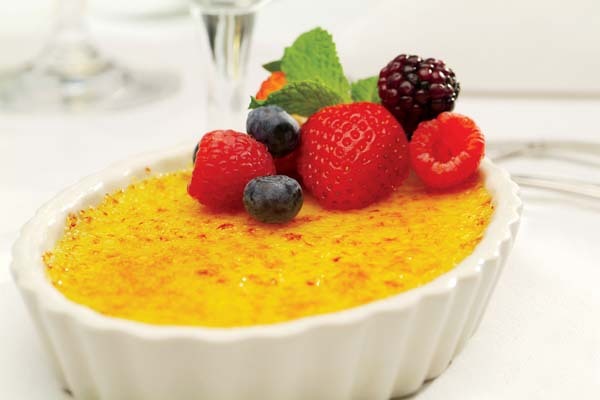 Creme brulee is one of many popular desserts, topped with fresh seasonal berries. 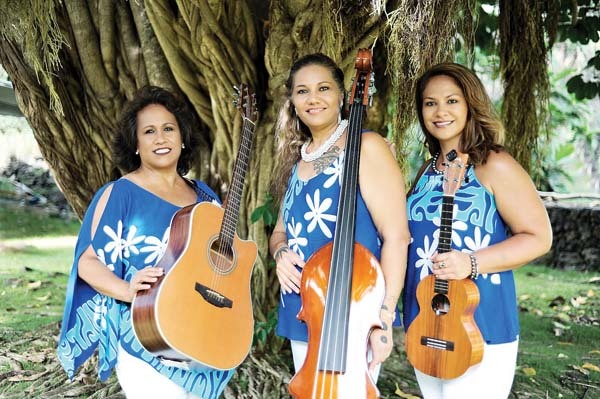 • Maui locations: Ruth’s Chris Lahaina is in the Outlets of Maui mall on Front Street; Ruth’s Chris Wailea is upstairs in The Shops at Wailea. • Hours: Both Maui locations are open for dinner from 5 to 10 p.m. daily. Happy hour jumps from 5 to 7 p.m. in the lounges. • Prime Time: Savor three-course menus daily starting at $54.95 with your choice of starter, entree with accompaniment and dessert. 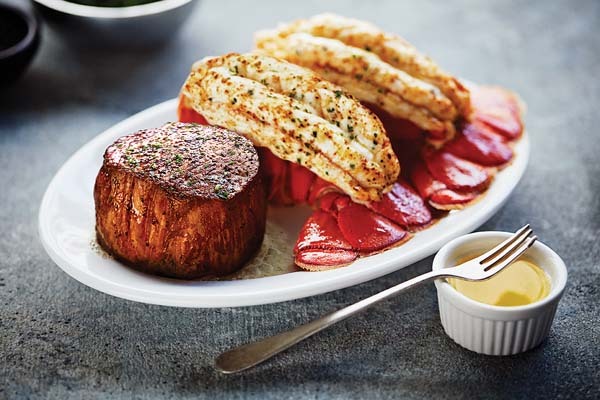 Prime filet mignon, wet-aged for 28 days, may be paired with twin lobster tails and drawn butter. • Wine Wednesday: Order select bottles of Ruth’s fine wines and get 25 percent off. 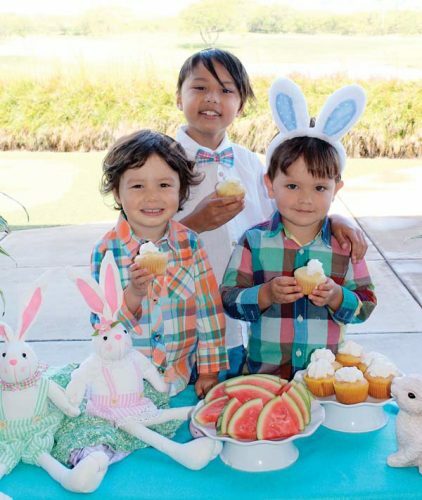 • Kamaaina discount: Those with valid Hawaii ID get 15 percent off food Sundays and Mondays. • For reservations: Call Ruth’s in Wailea at 874-8880 or in Lahaina at 661-8815 or you may visit www.ruthschris.com.